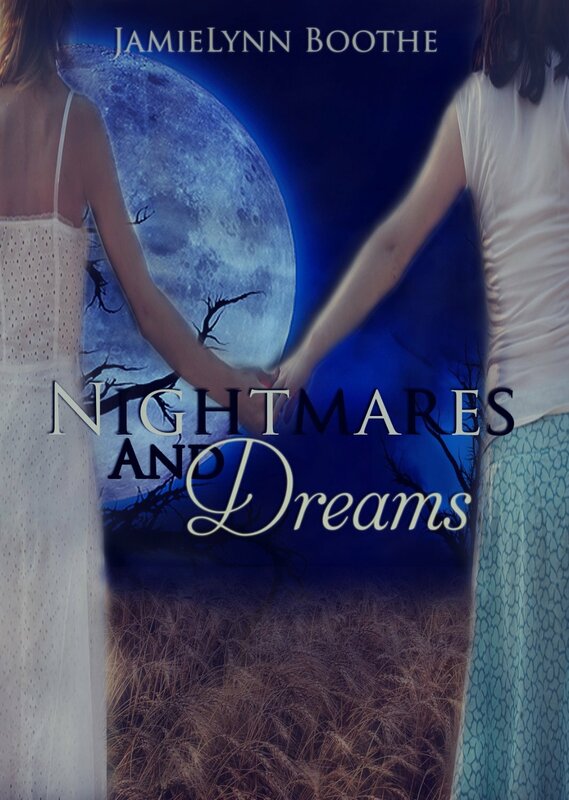 This is my review of "Nightmares and Dreams" by Jamielynn Boothe. I'll warn you now, this review does have spoilers! First, I'd like to thank Jamielynn for my copy of this amazing, heartfelt, and rollercoaster of a ride. This book starts with you thinking, yes, Christy probably has been raped before and, has for some reason, repressed the memories of the horrific event or events. Or maybe, she's reliving it in her nightmares because he subconscious can't handle it anymore. Then, you get to meet her amazing and wonderful partner, Heather. They seem to be getting back together as they have off and on through the years. This is mainly because Christy has just moved back to her hometown, due to the fact that her favorite aunt left her her house when she passed away. You think Christy is going to do well, having Heather, and going to therapy to deal with these awful nightmares. Then they meet a lovely young woman named, Tracy, when they go to breakfast at their favorite diner. She waits on them. They notice her sweet shyness and immediately take a liking to her. They find out that she's having serious trouble at home and her husband beats her. Later on her hurts her so bas it puts her in the hospital, so Christy asks if she wants to stay with her. She ends up doing so and her husband gets so angry he ends up going out with his two friends to look for a gay man he saw earlier in the day. Excuse me, I forgot to mention, Tracy's husband, Billy, is a prejudiced, alcoholic, wife beating, red neck. I won't give everything away, but Billy ends up committing some extreme gruesome and awful crimes with his friends and some of those crimes have to do with some of the main characters. Also, you get to meet Christy's brother and Heather's sweet, understanding mother. I absolutely loved this book! It's amazing that it's Jamielynn's first book! I can't wait to read the next book! Keep On Reading! JLB: Being an author is something I have wanted to do since I was a young teenager. I wasn’t able to actually begin my writing career however because of personal problems until August of 2012. I finally decided that it’ll never get done unless I actually start it. So, I sat down one day with the idea for my first novel and started pumping it out. JLB: Yes, of course. Well I should say most of them do. Most of them are happy for me and proud of me. JLB: Well for starters I wanted to have it in my hometown, just to put it on the map so to speak. The reason why I wrote about what I did is because there was so much in the news about the LGBT community. I can relate to them and I fully support them. I wanted to write a deep heartfelt novel about a lesbian woman, about the power of love overcoming extreme situations and how some still look at the LGBT community. Not everyone but a lot of people. JLB: There is only one person in "Nightmares and Dreams" that is based on someone, but I won’t say who it is, LOL. JLB: Actually I have written two novellas in a trilogy and have one more to go. It is called "The Journey Trilogy". It is based on addiction and recovery from drugs. Very deep and heartfelt. JLB: My all-time favorite? Wow, I guess that would have to be one of Nicholas Sparks books. Either "The Guardian" or "The Rescue". JLB: I usually write down descriptions of my characters first. Then I like to write a summary of the story, do some research of course then start writing, hoping for the best. I do research as I go. Then after my rough draft is complete I revise it. I usually have a couple beta readers read it giving me their feedback as it’s being edited. Then I revise again.